Type in a keyword and press "Go"
Rachel Fox for Mojeh Mag. Sibui Nazarenko for Mojeh Mag. 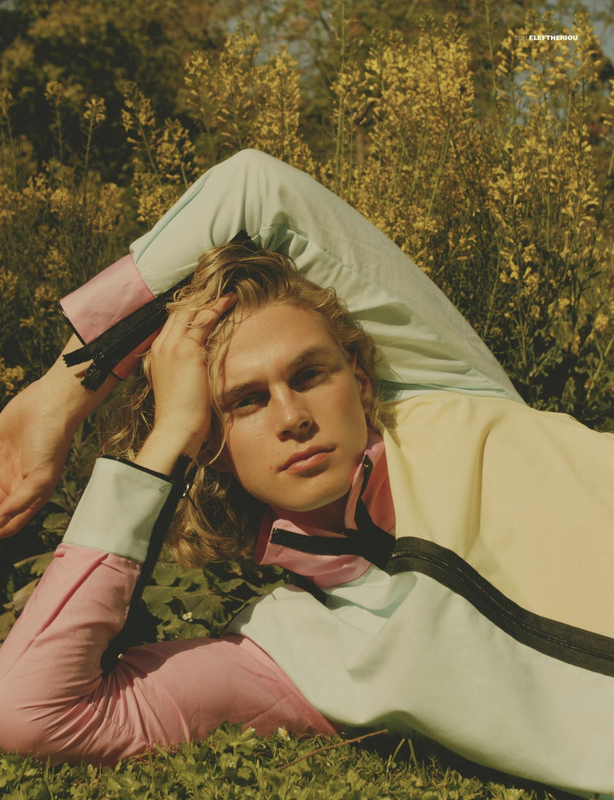 Molvik Sorensen for MMSCENE Mag. 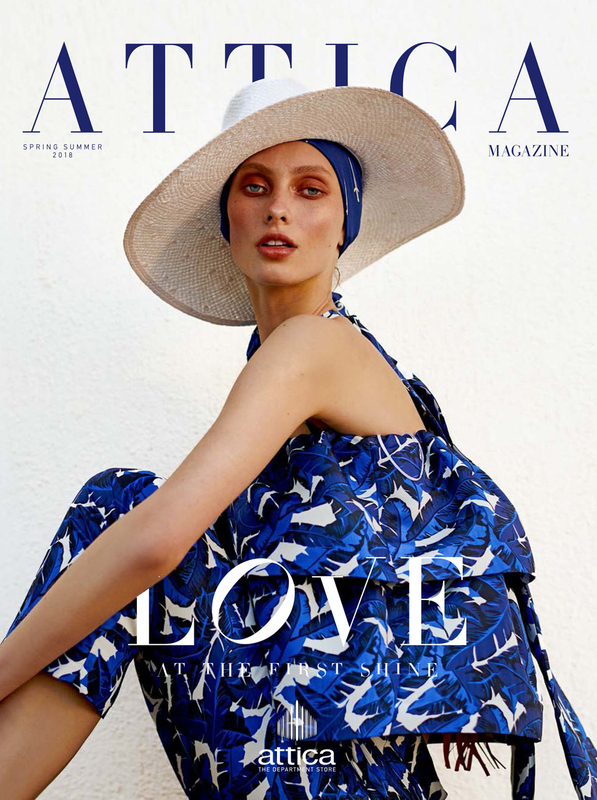 Vika Dunets on the cover of Attica Mag. Malin Kvande for Ozon Mag. Anastasia Kuznetsova for Madame Mag. Kristin Drab for Elle Mag. Marta Gawron for Jolie Mag. Ilias and Tabea for Elegant Travel Mag. Dream State. Vovk for Mojeh Mag. Each and Every night. Daga Jez for Ozon Mag. 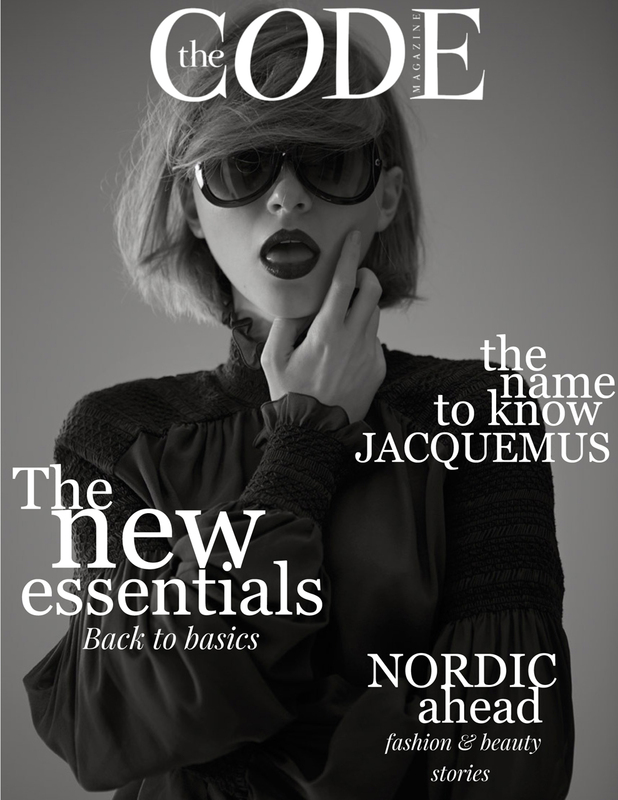 Daga Jez covers the new issue of The Code Mag. Stunning Claire de Regge for Harper’s Bazaar Poland. Rebekka for your eyes only @Ozon Mag. Flawless Beauty Anastasia Perraki for Glow Mag. Eclectic Charm of Claire De Regge for Mojeh Mag. 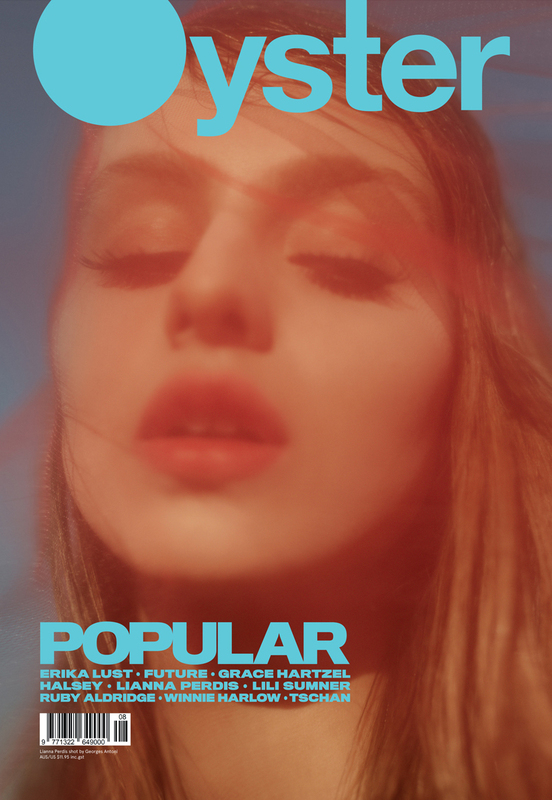 Rebekka Eriksen on the cover of Electra Mag. Match point for Juliette, Iris and Stefani at Madame Figaro. Zlatka Ivanisevic lands the September cover of Madame Figaro. Rebekka Eriksen for Nomas Mag. Anastasia on the cover of Madame Figaro. Diving into the style with Ilias for Esquire. Milou Groenewoud on the cover of Gynaika Mag. Mia Stass on the cover of Madame Figaro. Summer kissed Rebekka for Elle mag. Beach more, worry less. Sabi is already in summer mood for Mirror mag. Patricia Petrova is this May cover girl for Mirror. 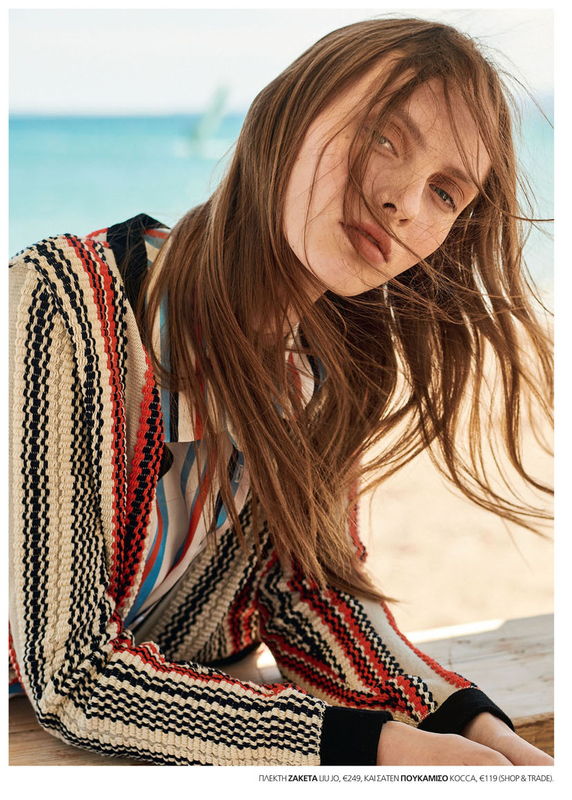 Stripes are…forever with Babette for Madame Figaro. 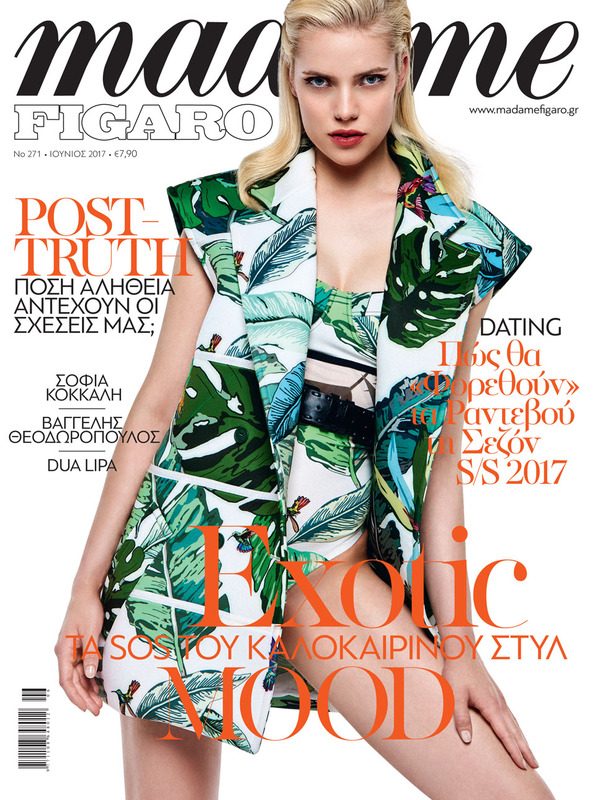 Aristotelis hits the streets on the cover of Attica Mag. Cover girl Alina Bredova for Mirror mag. 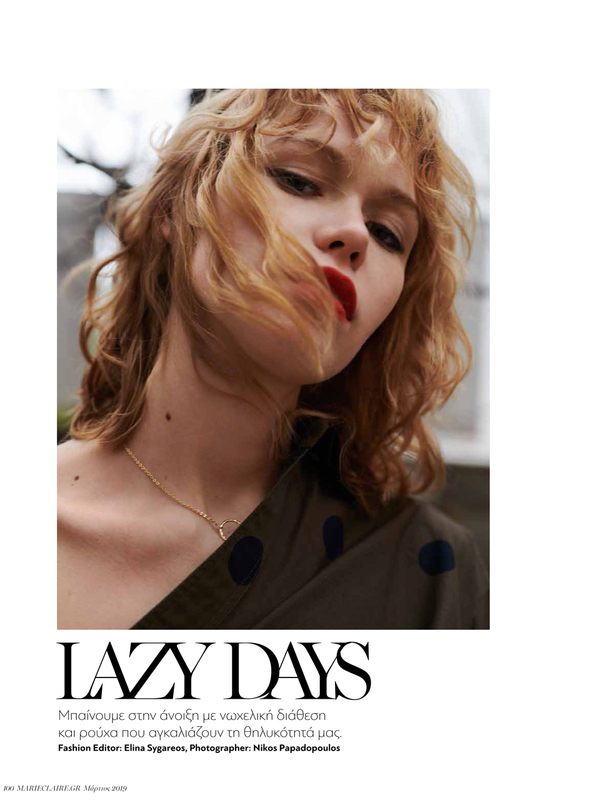 Aleksandra featuring vintage treasures in Ozon mag. Ksenia brightens with the heavenly light on the cover of Ozon Mag. 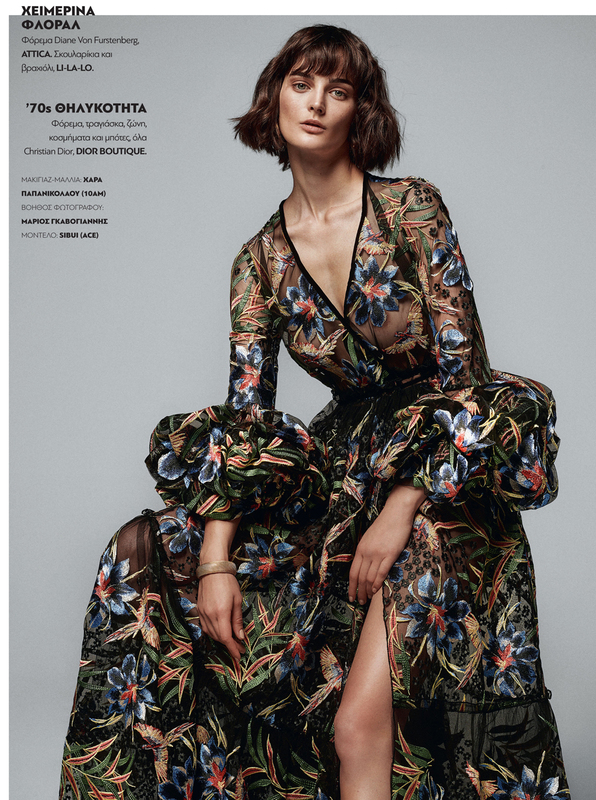 Sofia Charmanda wows in spring look for Madame Figaro cover story. 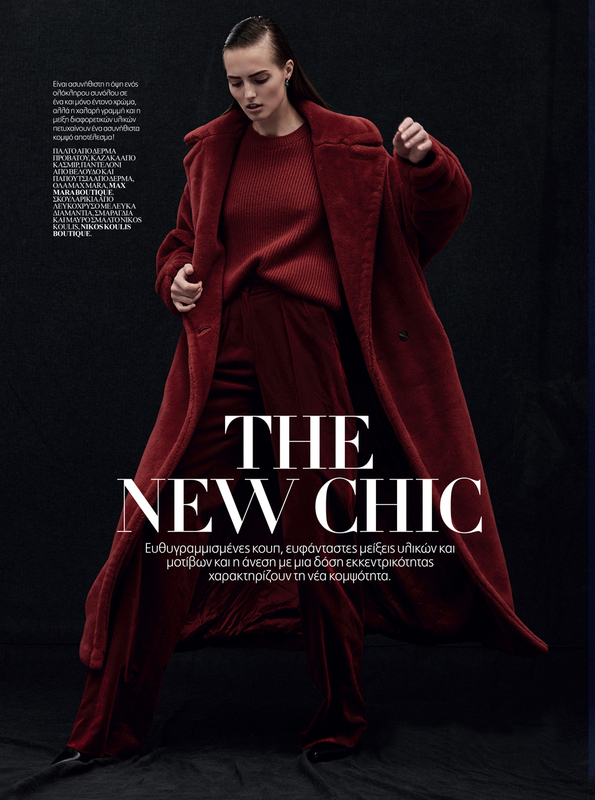 The effortless elegance of Milou for Madame Figaro. Jo Molenaar is the face of Oxette SS’17 collection. 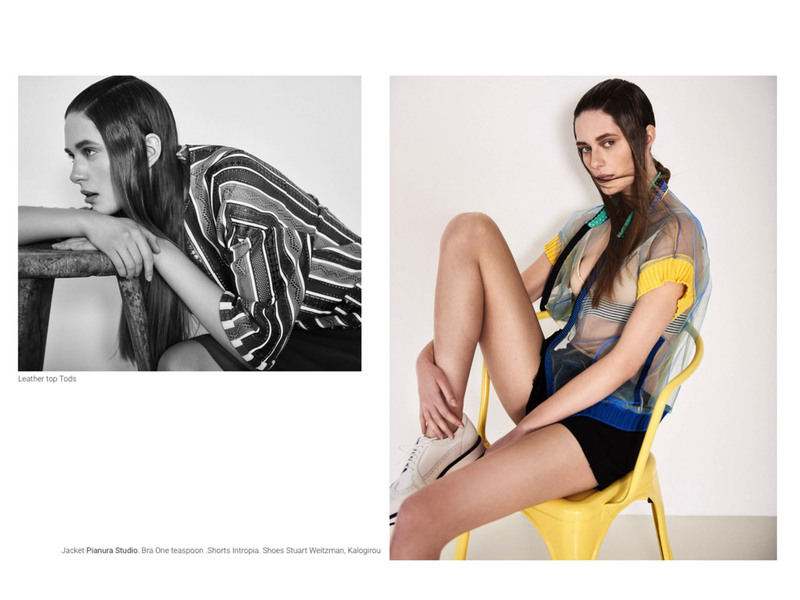 Anna is channelling the spirit of spring for The Code Mag. 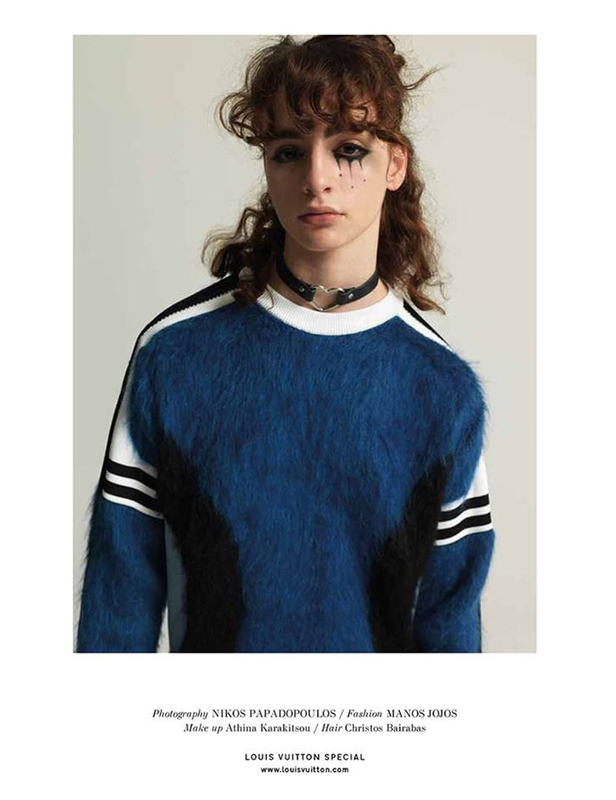 Daria winning the battle of style in military clothing for Mirror Mag. 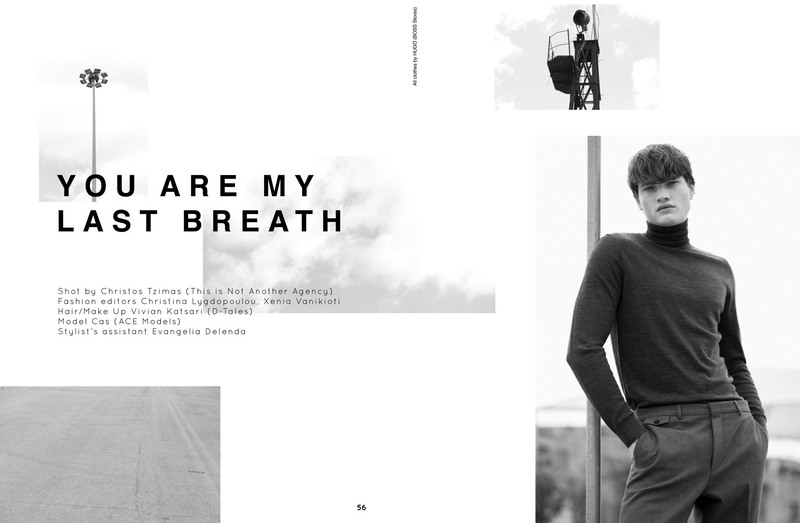 Cas looking elegant till…the last breath for Ozon Mag. Savoring the first spring breeze with Sasha for Jolie mag. 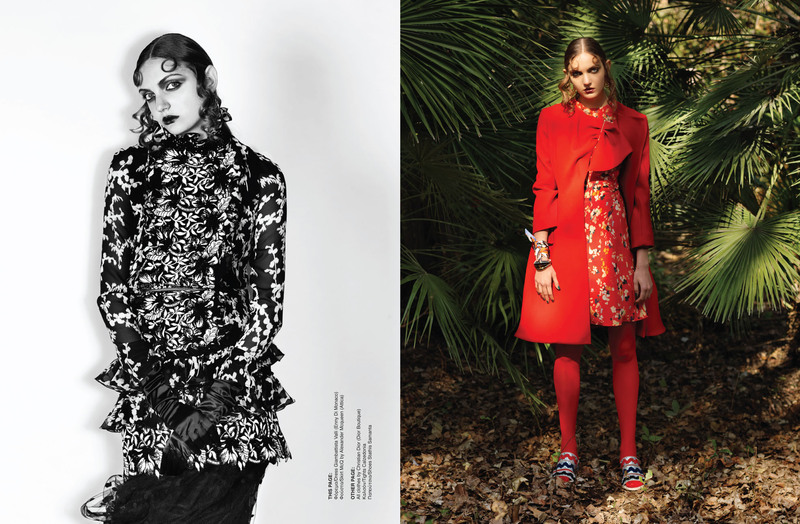 Daria bringing earlier springtime for Madame Figaro Mag. New Romantics : the era of Nora for Hello Mag. 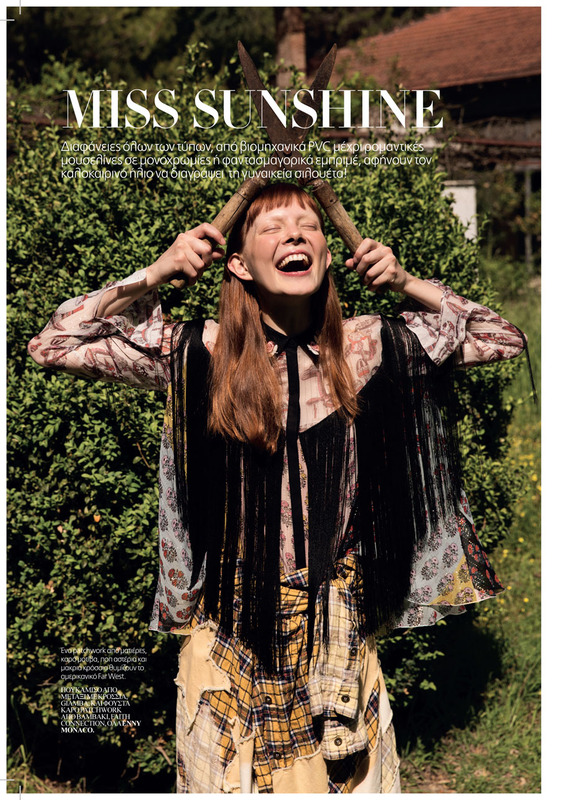 Anna has found her joie de vivre for Elle Mag. Real beauty is never vain : Clara Raddatz for Schön! Mag. 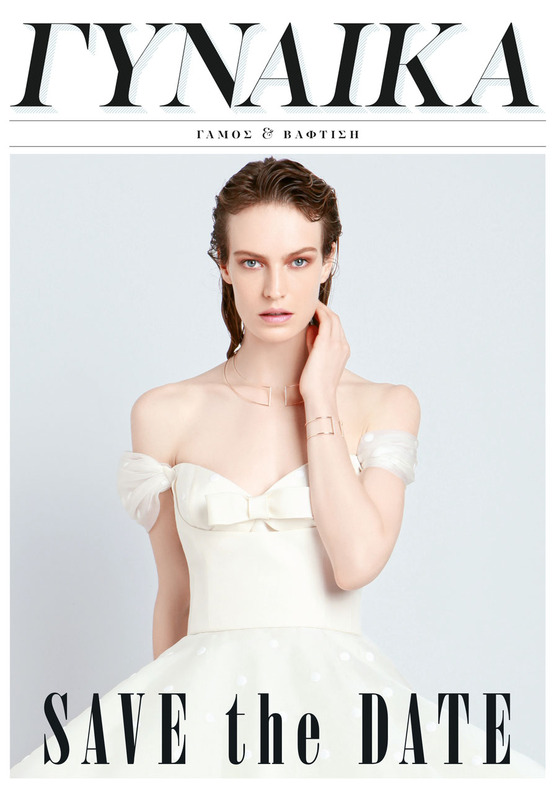 A grand pas de deux to remember: Ismini Papavlasopoulou for Marie Claire Mag. Dress conference with Vera Luijendijk for The Code mag. Sasha is shining bright at Cosmopolitan Mag. 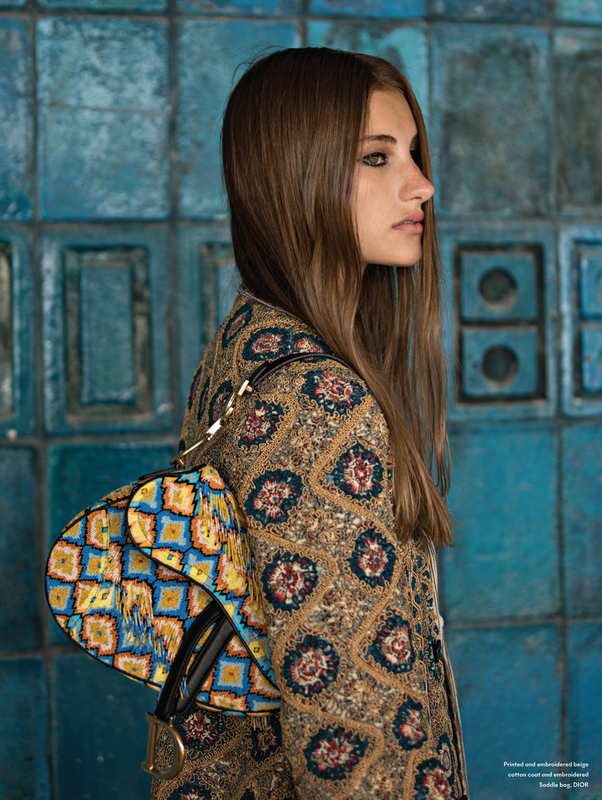 Obsessed with Elli featuring Louis Vuitton special for Noma Mag. Magdalena made winter colorful on the cover of Hope Mag. Dazzling Liana Perdis in a festive mood on the cover of Harper’s Bazaar. Ambitions are always golden for Clara in Cosmopolitan Mag. Flaming red Dasha for Mirror Mag. Ilias and Dimitris for Aristoteli Bitsiani anniversary campaign video. Helene for Marie Claire Mag. proves that femininity never fades. 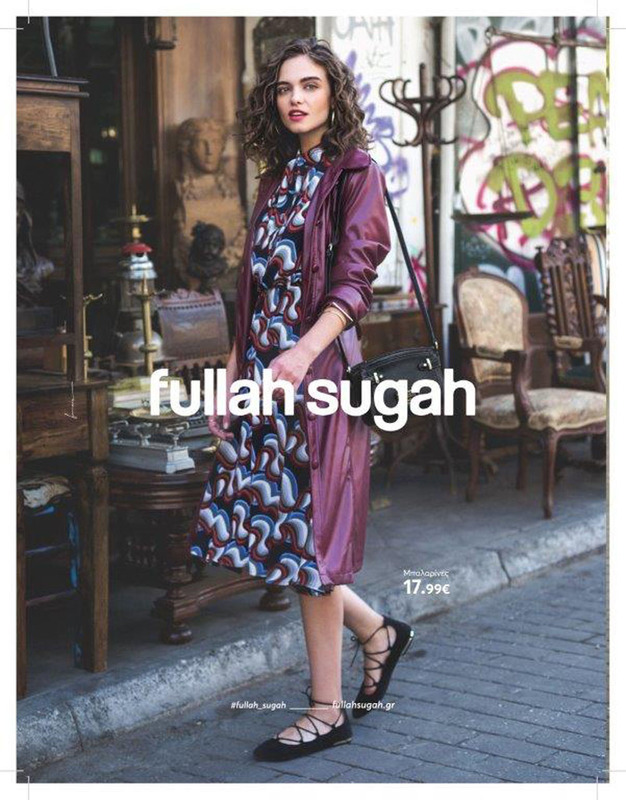 Expect the unexpected contrast with Vania for Fullah Sugah. Working hours won’t be the same again with Roma’s new business look for Harper’s Bazaar. Steve on the cover of Vima Men. Clara rocks in luxury leather for Elle Mag. 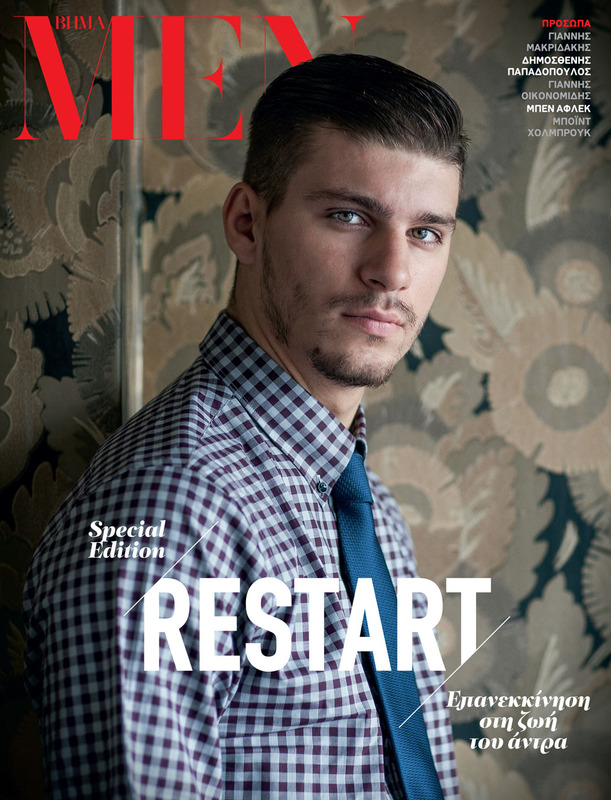 Ilias brings back the old time classic look for Esquire Mag. It’s all Greek to Tamara for THE CODE Mag. 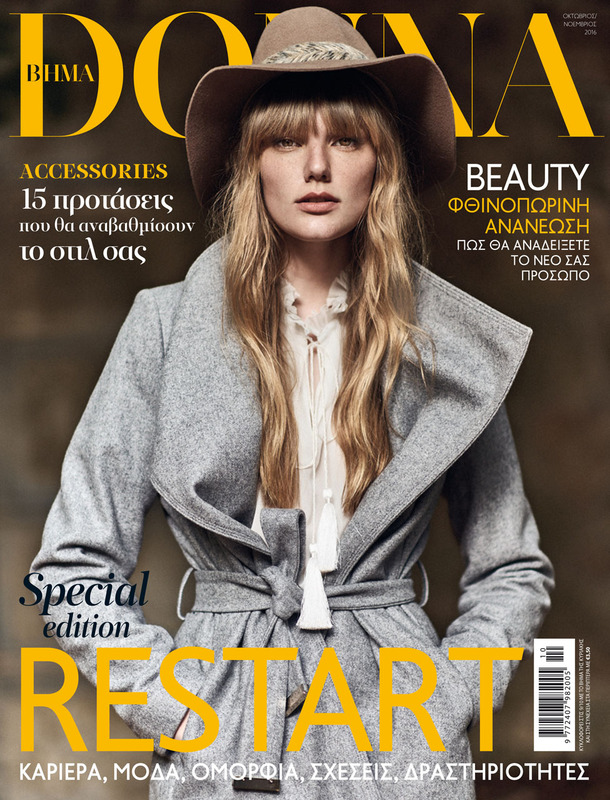 Clara Raddatz is the cover girl of Vima Donna! Michelle rocks New Vintage for Marie Claire Mag. 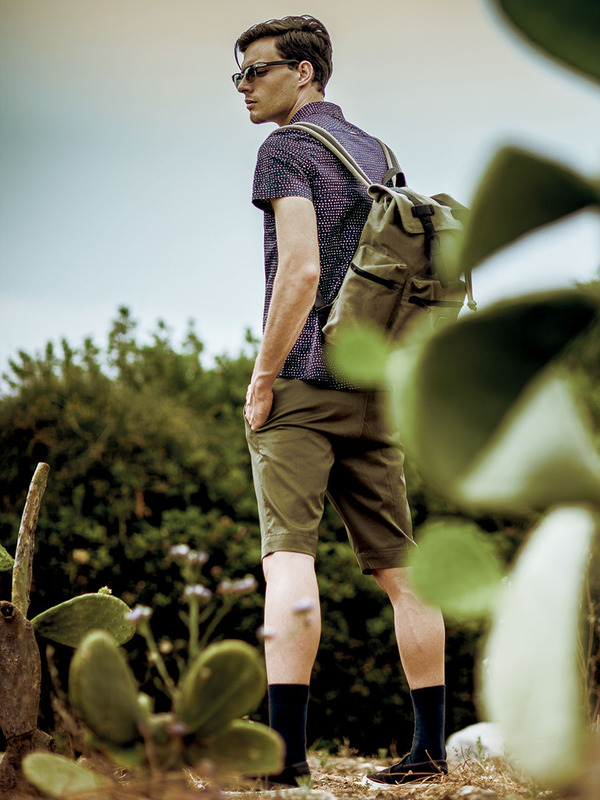 Stay stylish and adventurous with Okan for Vima Men. Stunning Jo Kruk welcomes Autumn through Madame Figaro Mag. Feeling the Reggae Vibes with Sanna for Elle Mag. Linde Derickx for Madame Figaro Mag. Cover girl :Lia Mundeling for Hilton Mag. Happy summer memories with Ismini Papavlasopoulou for Celebrity Mag. Marianna Maragkidi is the cover girl for Mirror! The last days of summer with Dayana and Sina for Gynaika Mag. 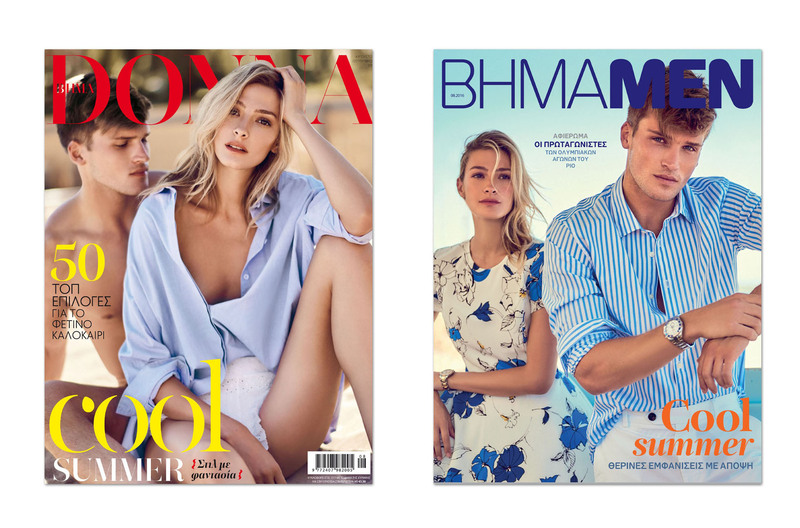 Double trouble: Ismini Papavlasopoulou & Ilias Avantiras for Vima Donna & Vima Men! Part time job as a pool girl? Mirror hired Rachel Swaab! Lois Schindeler breaks free for Elle. Ioanna Ntenti poses for german brand Passigatti SS’16. Weheart Thea Hudson cover for french iHeart magazine <3. Beach please…Lucie Gawelczykova stars in this July’s Cosmopolitan! 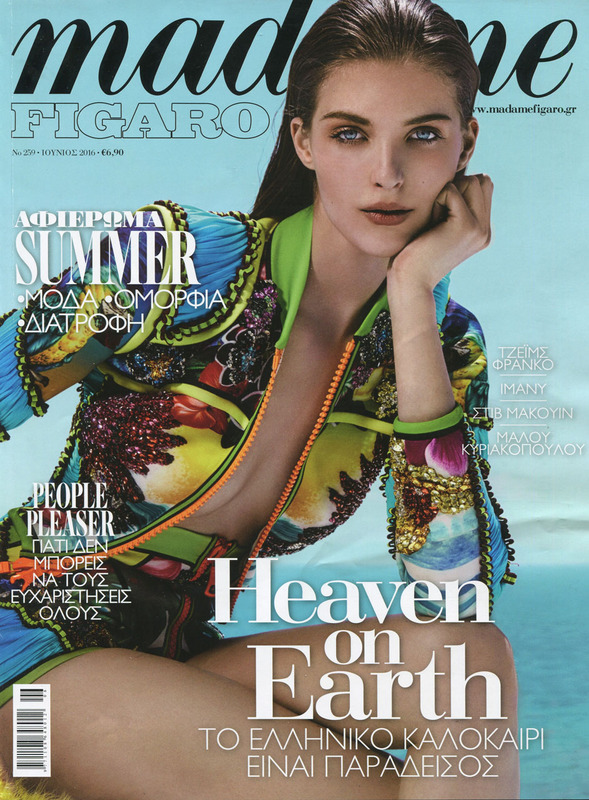 Cover girl: Anastasia Lagune is located in heaven on earth for Madame Figaro face. Smile! 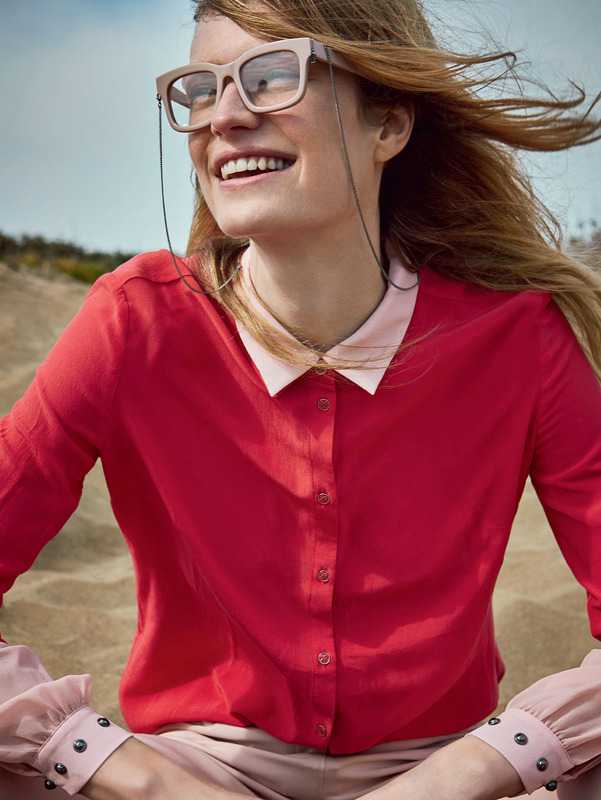 Dorte Limkilde is happy for her Elle editorial. 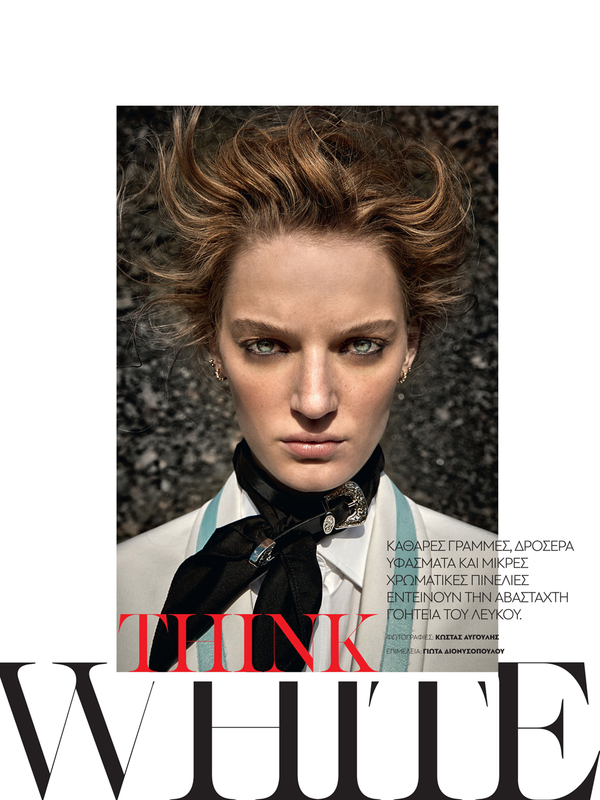 New wave cover: Ekaterina Stafecka for Attica. Jenny Severynenko didn’t turn back to summer for Madame Figaro. 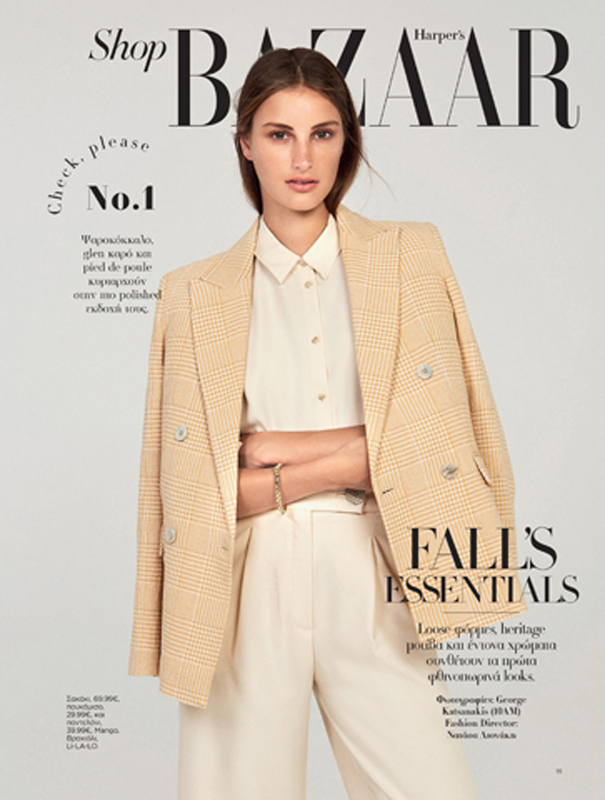 Magdalena Chachlika found the new shapes of fashion for Harper’s Bazaar. Jenny Severynenko blissful in the sun for Elle. Alex Ford being cool in California for Mirror. Sail away: Milou, Vita, Nikolay & Christos for Julia Bergovich. 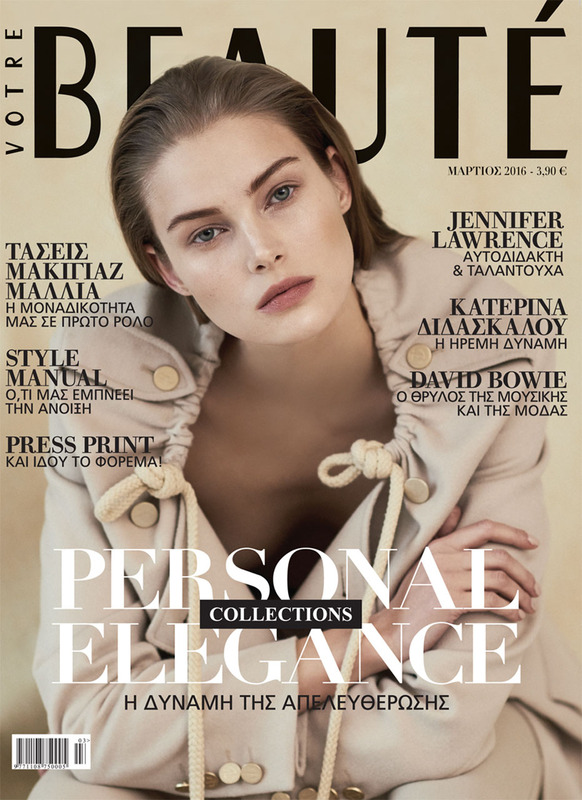 Cover girl: Jane Kuiczk for Votre Beaute looking amazing! 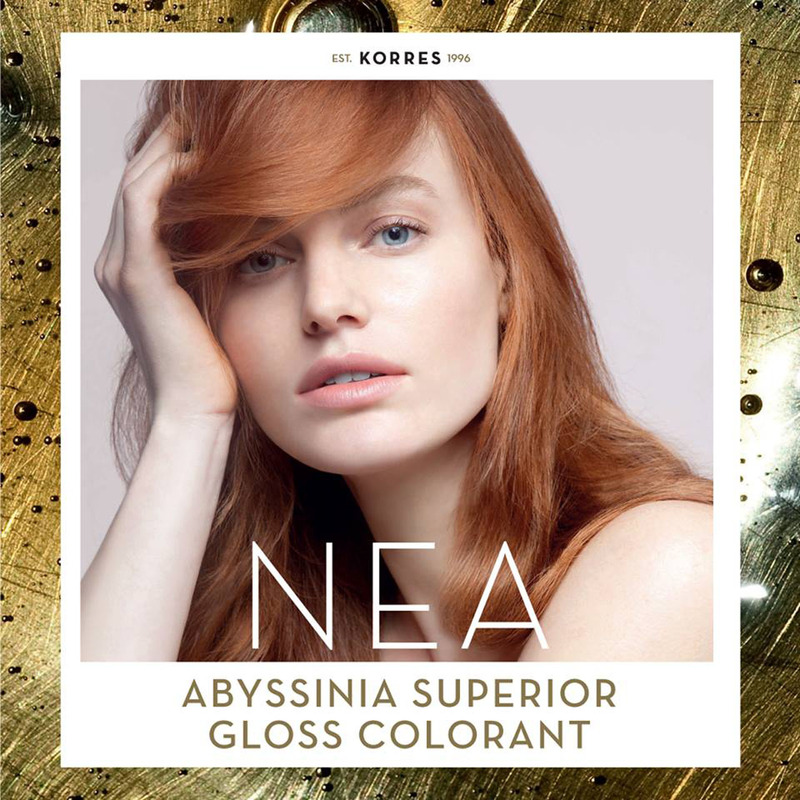 Georgie Wass is the face (and the superial color!) of Korres. Antonina Vasylchenko poses for The Athenians editorial. Annabel Haffner is the Elle girl for this summer’s trends. Paulina Klimek is a white delight for Madame Figaro. Ismini Papavlasopoulou in Hollywood for Woman magazine. 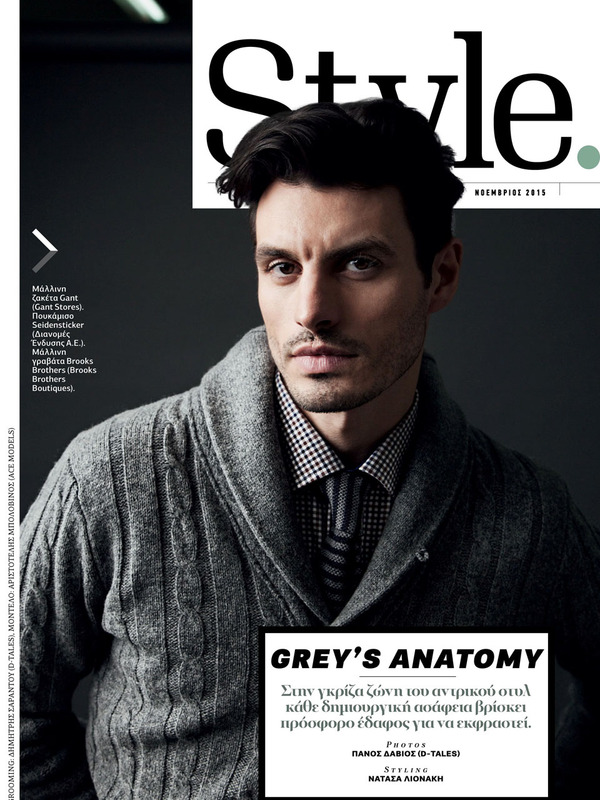 Stelios Niakaris teaches style for Homme. Frederikke Olesen is a cast away for Marie Claire. What a beauty! Jeske Van Der Pal is the face of Erre Due. 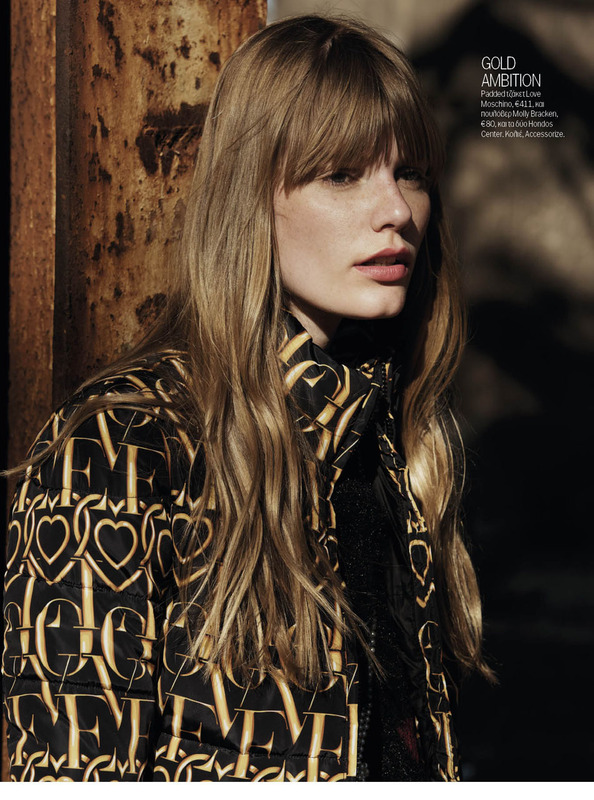 Annabel Hafner gets the city vibes for Marie Claire. Jane Kuizck joins the army for Mirror! 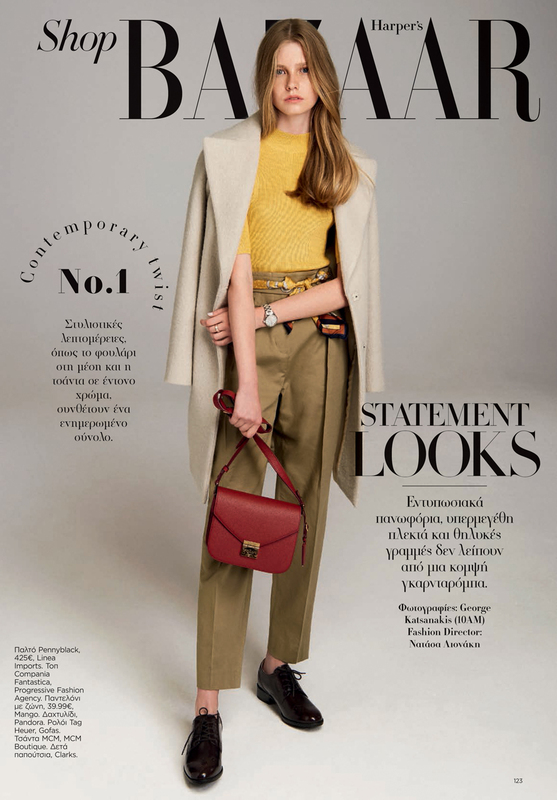 Romy de Vries & Vita Silkaityte are top of the top for Elle. Christina Rasputin on the cover of Votre Beaute. Cover girl: Jane Kuizck on the cover of Mirror! In her shoes! Nina Anicic For Tsakiris Mallas. Ioanna, Ilias & Denis are “Into the night” for Spell S/S’16. Romy de Vries gets physical for Mirror. Georgia Wass is a million dollar baby for Elle. Ismini Papavlasopoulou for Amanda Kendell campaign. 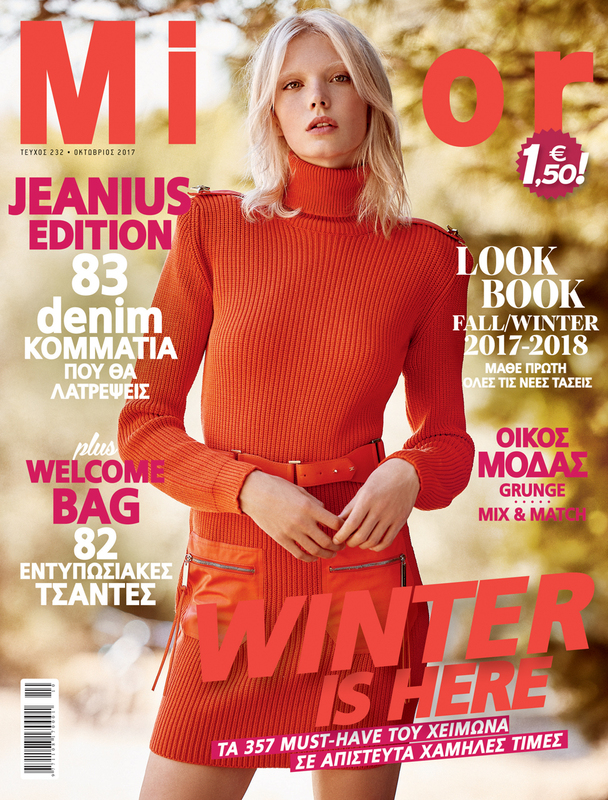 Milou Groenewoud on the cover of Madame Figaro! Ioanna Ntenti on the cover of Glow! Anna Konecna chills with prints for Mirror. 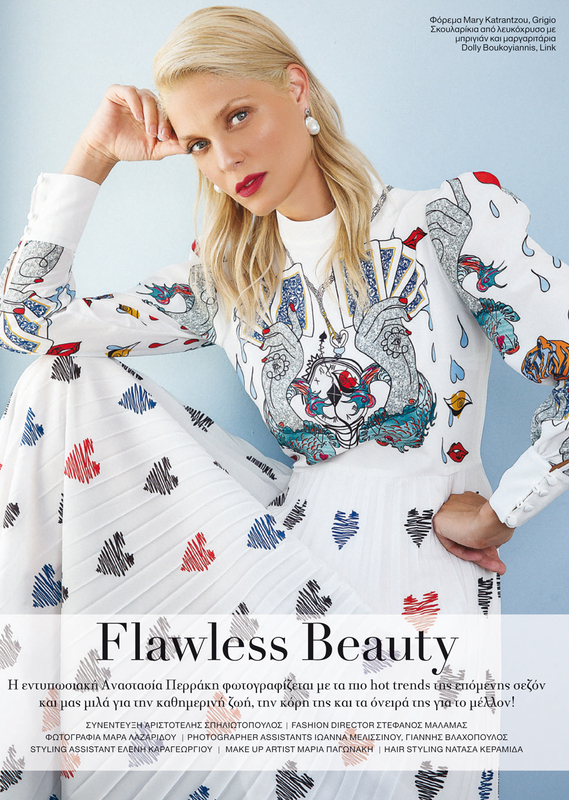 Cover girl: Georgie Wass for Mirror! Marla Fabri wears all the shades of grey for Harper’s Bazaar. 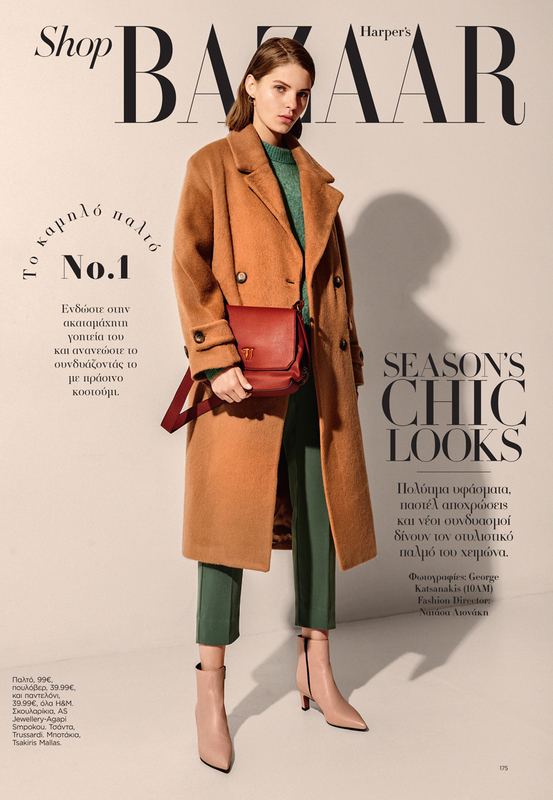 Anna Konecka checking in Hilton Athens magazine. Milady Anastasia Perraki takes the train for Votre Beaute. Anna Emilia lives in leaves for Madame Figaro. Christina Rasputin is in the mood for Party for Vima Donna. Steve Milatos cat-walks for Dirk Bikkembergs FW’16. 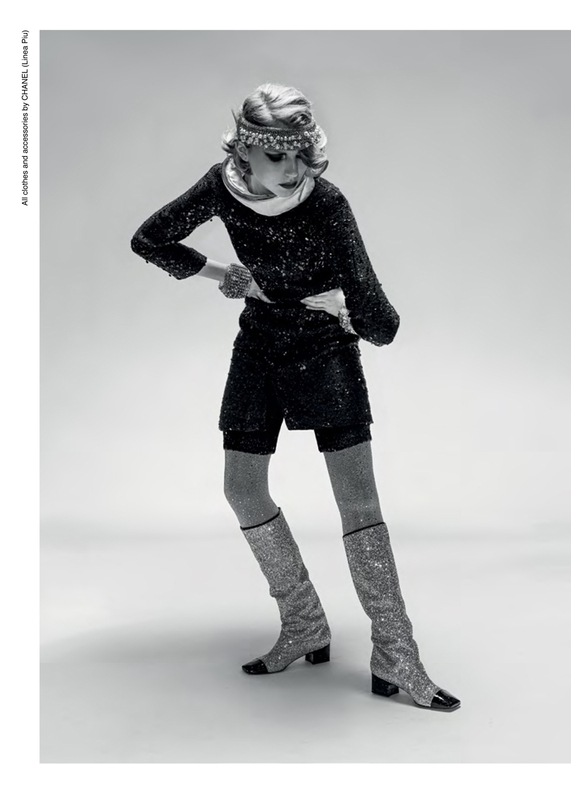 Marla Fabri brings the glam back to town for Elle. Ismini Papavlasopoulou lives her fairytale for Maria Konidi. Steve Milatos cat-walks for John Richmond FW’16. Antonina Vasylchenko listening the warm harmony for Vima Donna. Steve on the cover of Vulcan. 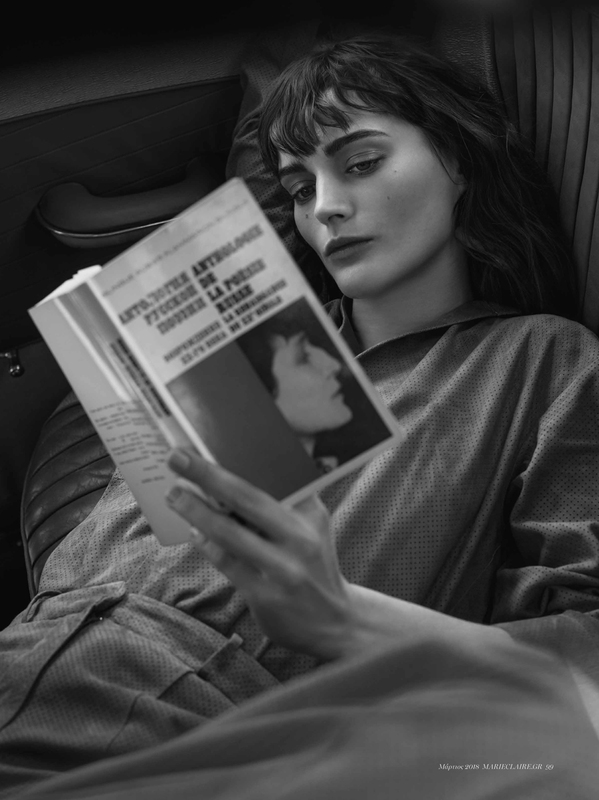 Sanja Urosevic is the face of Oxette’s latest campaign AW’15-16. Antonina Vasylchenko is a citizen of Retropolis for Madame Figaro. Anna Konecna feeling the Xmas mood for Vima Donna. Angela Jurkowianiec is this December cover girl for Mirror. 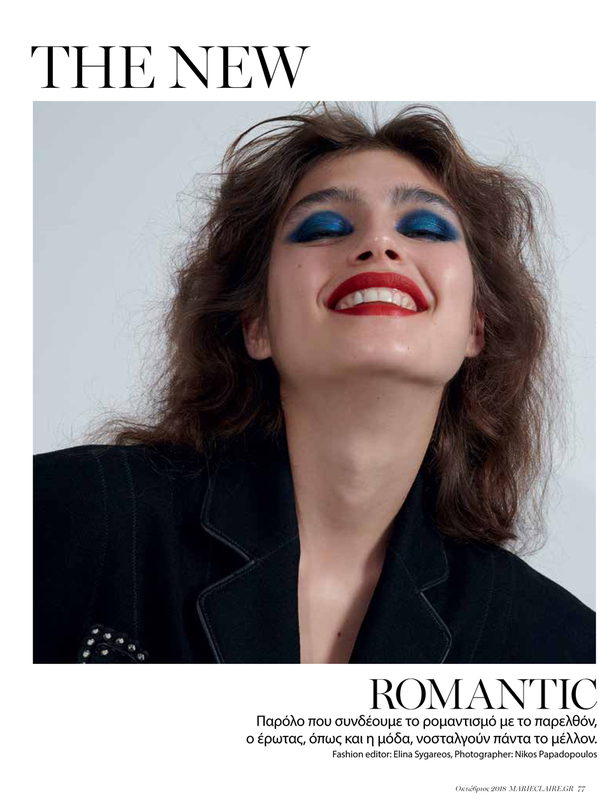 Antonina Vasylchenko got the night fever for Marie Claire. Polina Sova explores bohemianism for Elle. Polina Sova walking by the beach for Mirror. 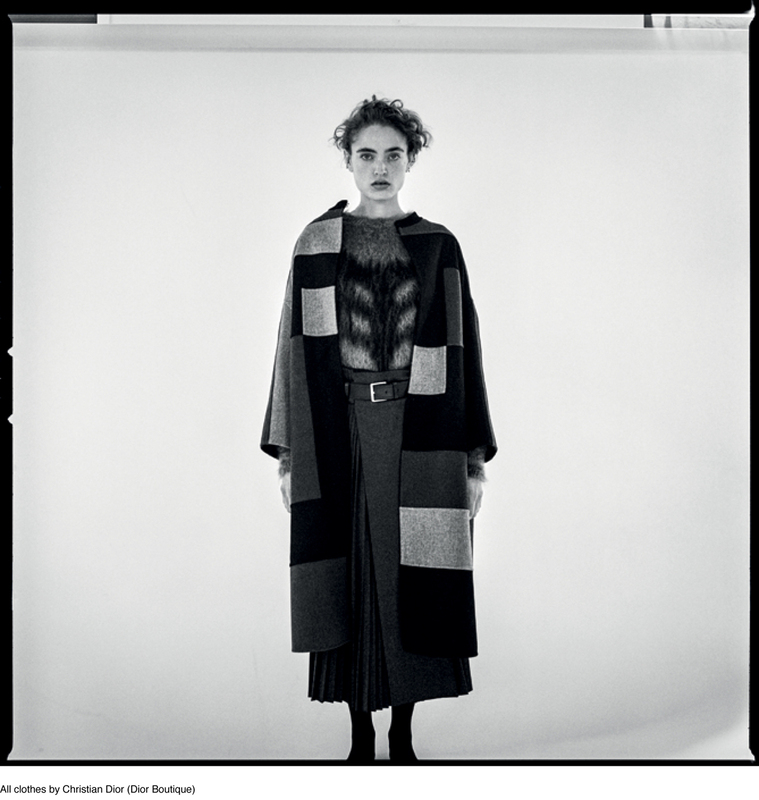 Julia Podlaszewska is the face of Erre Due AW’15-16 collection. 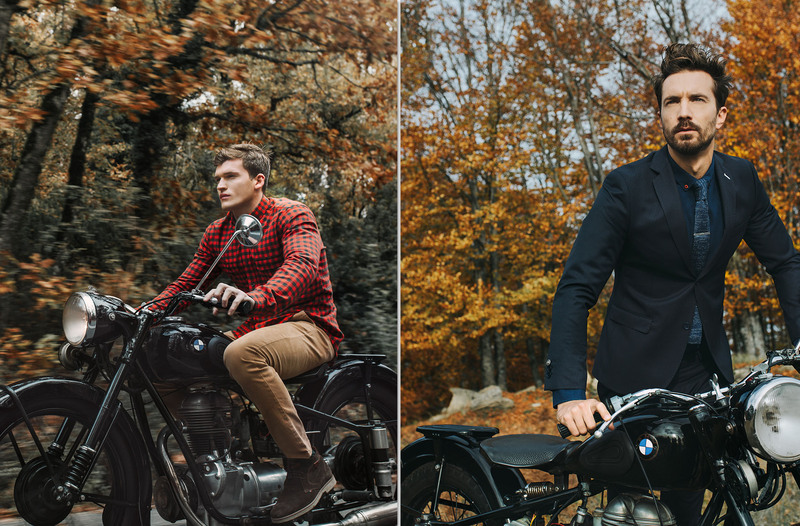 Aristotelis Bolovinos is the man of style for Esquire. 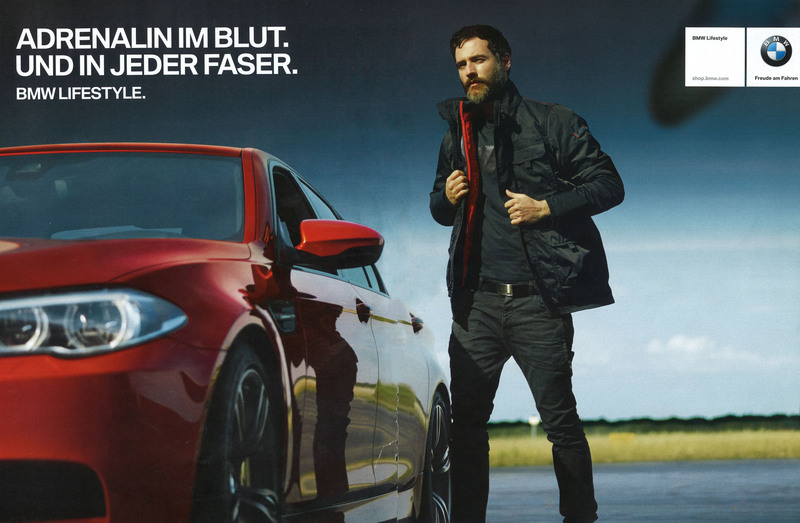 Panagiotis Simopoulos being easyrider for BMW. Polina Sova posing in the city for Elle. The man for Vima men. Lika Rzhevskaya is this month rock n’ roll queen for Ozon. 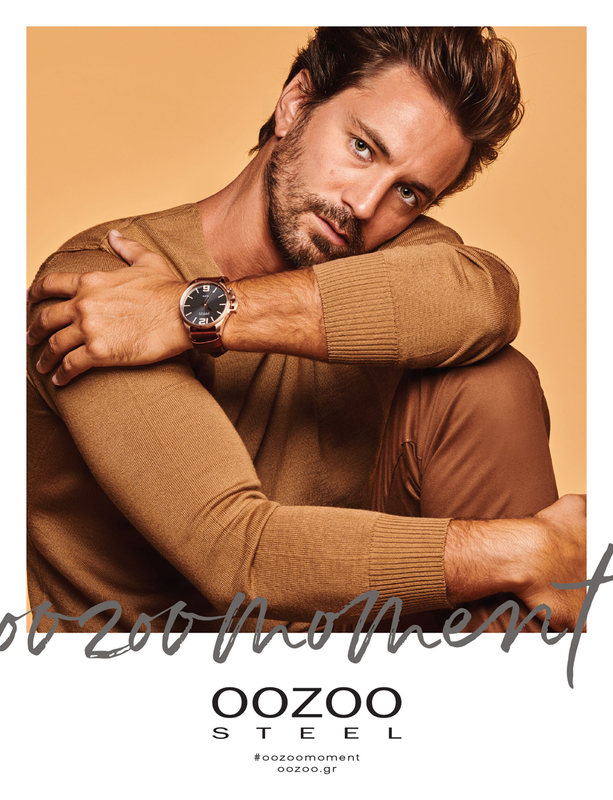 Ilias Avantiras being…the boss for Hugo Boss lookbook AW15/16. Anastasia Perraki & Panagiotis Simopoulos meet at the runaways for Lida Campaign FW15/16. Natalya Piro is the cover girl of Vima Donna! Aiden Shaw is the new Monte Napoleone face AW’15. 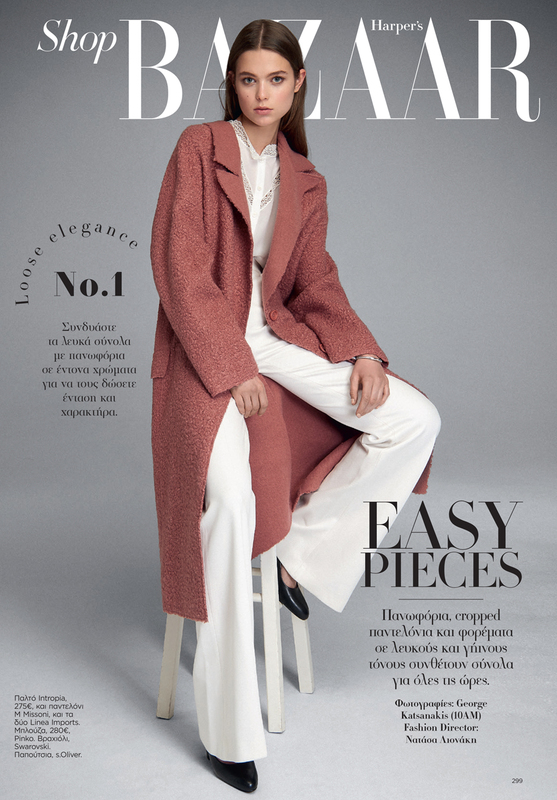 Panagiotis Simopoulos for Woolrich John Rich & Bros.
Nastya Belkina’s beautiful color blocking for Elle. Power Duo: Jenni & Nastya for Mirror. 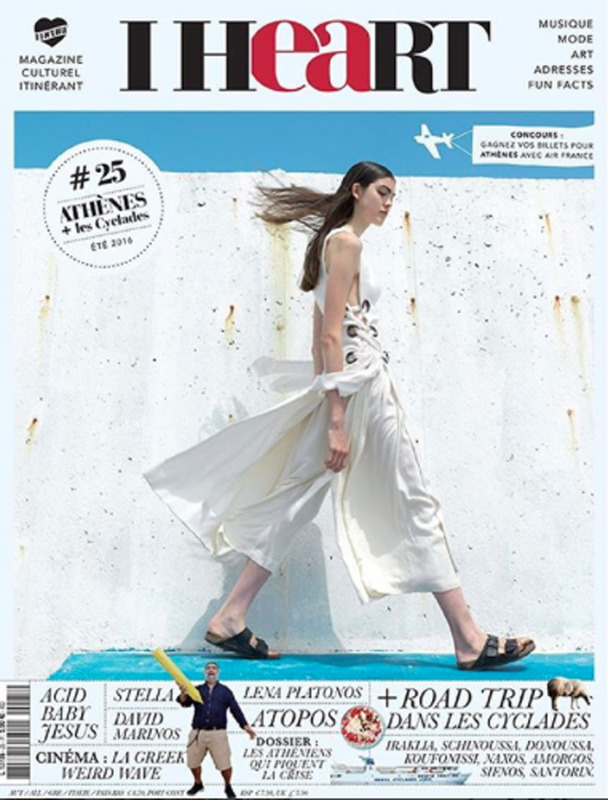 Anabel Van Toledo & Vasilis Mihas said “Hello Mykonos” this summer. Tessa Bennenbroek has a gypsy heart for Elle. Hanna Koczewska gets windy for Vima Donna. Dani Tsvetkov cat-walks for Dolce & Gabbana couture. Sissel Grubbe has the summer “eye” for Mirror. Art meets fashion meets Stefani Sober in Gynaika magazine. Sissel Grubbe gets hot and tropical at Cosmopolitan. 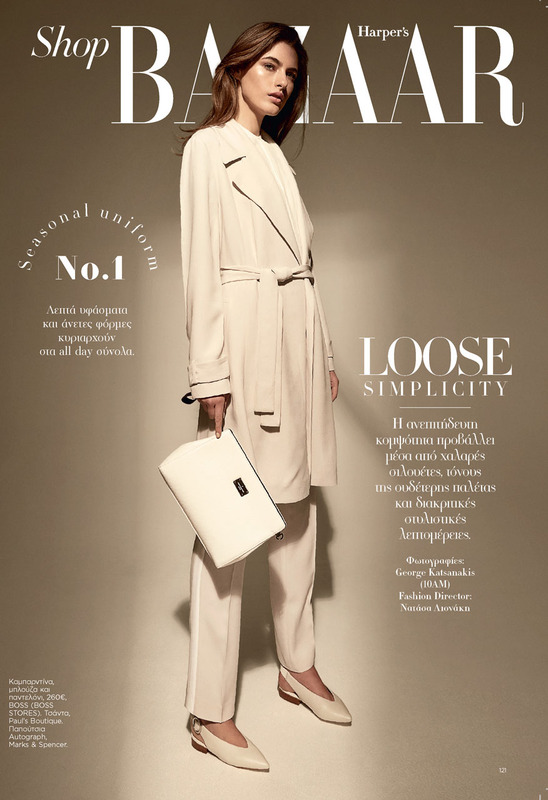 Vasilis Mihas cat-walks for Christian Pellizzari. Vasilis Oikonomou cat-walks for Dirk Bikkemberg. Steve Milatos cat-walking for John Richmond, Marcelo Burlon County of Milan & Ports 1961. Dani Tsvetkov has a sense of Tharros. Gwen Loos swims the deep sea of Nomas. Dariia Makarova dives always…in Shape! Steve writes the style symphony for Homme. 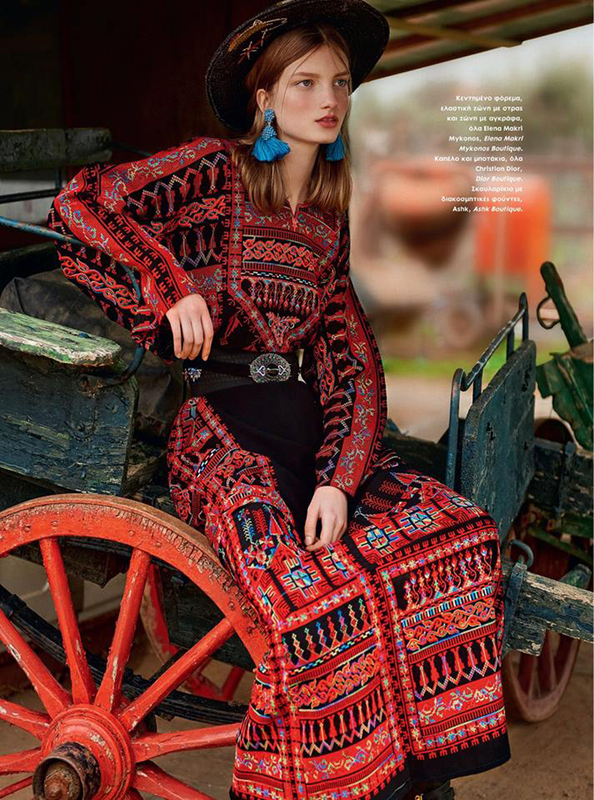 Stephanie Cook gets luxe boho for Mirror magazine. 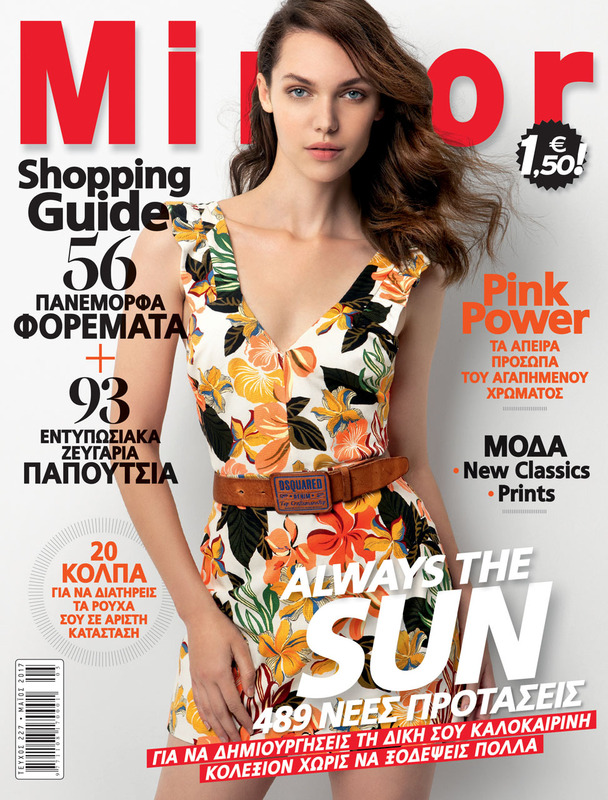 Thodoris Theodoropoulos for Migato SS’15. Tosca Dekker is the girl from Coachella in this month’s Harper’s Bazaar. Simona Bitiuska gives a diamond kiss to Ozon. 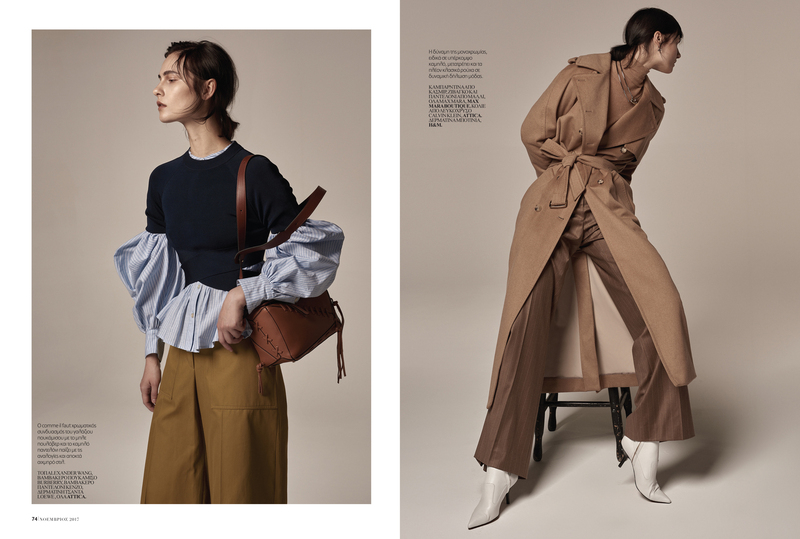 Spring has sprung with Sona Matufkova at Madame Figaro. Ioanna & Panos are at the Fantasy island for LIDA SS15 campaign. Nevena Dujmovic is the new Erre Due face! Tosca Dekker is on the cover of Marie Claire! Ilias Avantiras & Berta Nagy for BSB campaign SS15. Tosca Dekker is this month Cosmogirl on the cover!